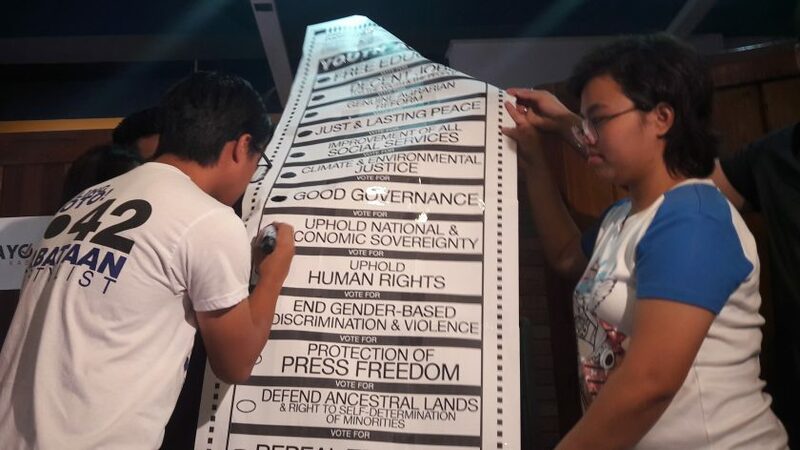 MANILA — Various youth organizations formed and launched “Laban Kabataan, Tayo Na”, a youth broad coalition calling to push for an independent senate and stand against dictatorship, with a 14-point pro-poor and pro-people Youth Agenda, for a free, democratic, and progressive future, March 27, in Quezon City. “The youth should take part in the politics. We should not just settle and impose our criticisms through social media, it is not enough in this kind of political status, where there is a dictator. The youth must stand together and encourage other youth organizations to join the plight of the people.”, said Jeremiah Tomas of Liberal Youth. 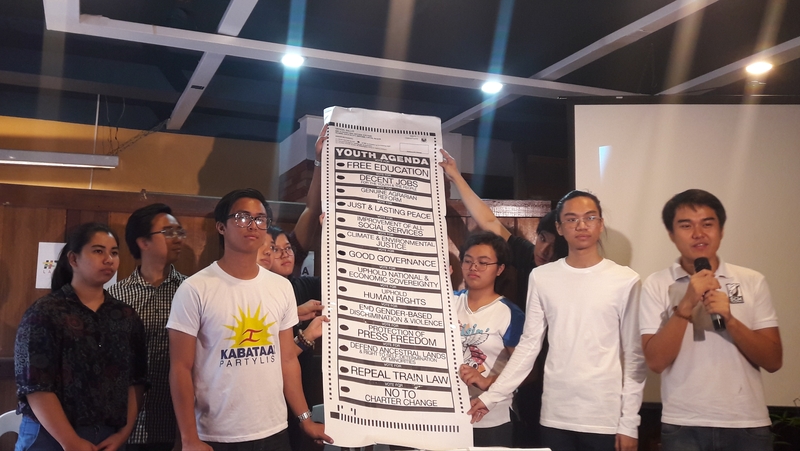 Among the youth groups who joined the initiative are: Kabataan Partylist, Youth Act Now Against Tyranny (YANAT), College Editors Guild of the Philippines (CEGP), Kalipunan ng mga Kabataang Kristiyano sa Pilipinas (KKKP), Aksyon Kabataan, National Network of Agrarian Reform Advocate (NNARA) – Youth, Millenials PH, Liberal Youth, Student Christian Movement of the Philippines (SCMP) and Spark. During the gathering, they stood in solidarity as they aim to take collective action to change the course of country’s future, especially with the upcoming elections. 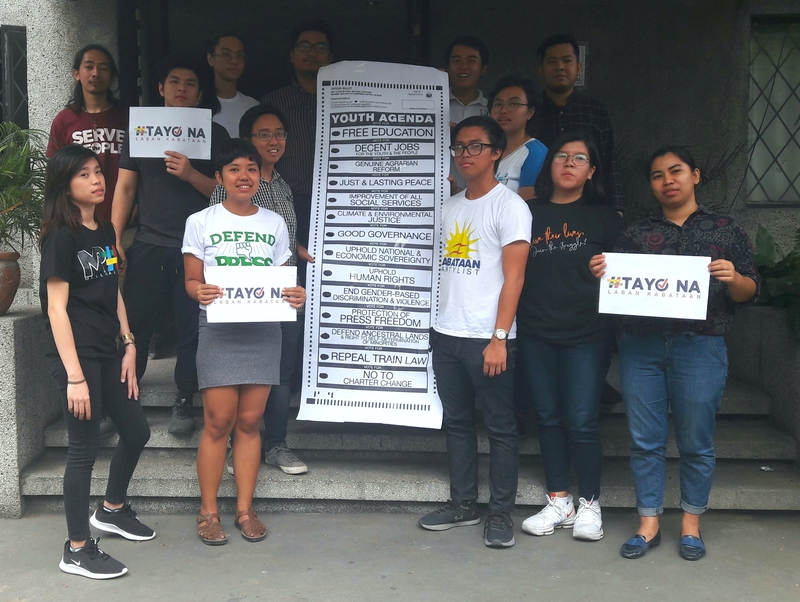 “Those candidates who will have a seat on the senate, hopefully would be the voice of the people and will go against the anti-people and anti-youth policies.”, said Raoul Manual of YANAT, ephasizing the aim of the youth coalition. Kenji Muramatsu of SCMP added that they will hold to account the senators on their electoral promises even after the election. “In the spirit of collective action, we call for unity amongst the youth and candidates to create a free, democratic, and progressive society to build the foundations for a braver and bolder Philippines.”, said Laban Kabataan, Tayo Na.